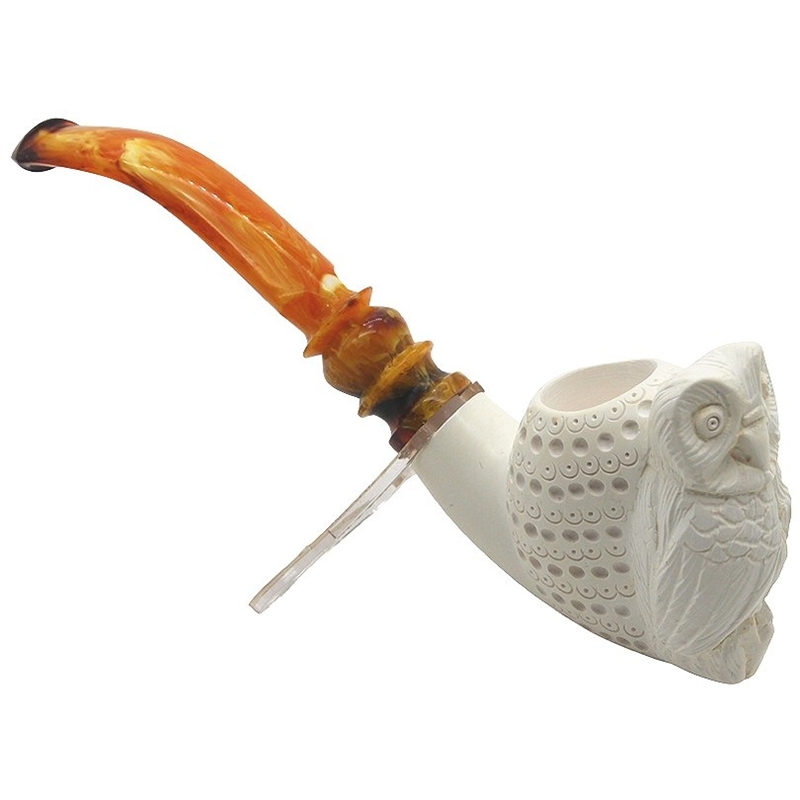 Hand Carved Owl on Lattice Bowl Meerschaum Pipe - Full detail carving of a wide eyed owl who is perched on the front of a carved round lattice pipe bowl. 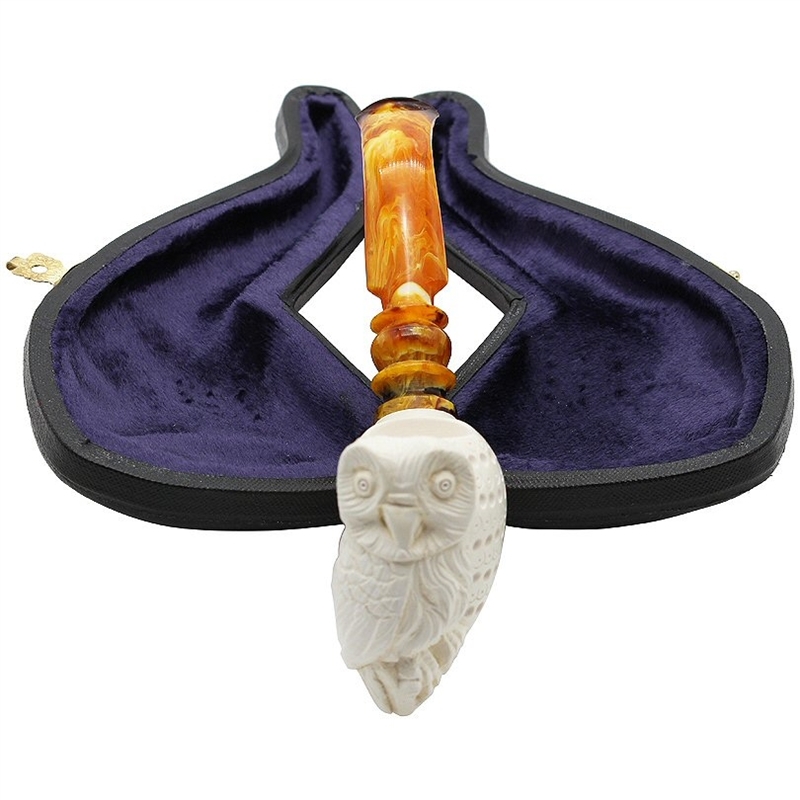 A turned designer stem finishes off the pipe. 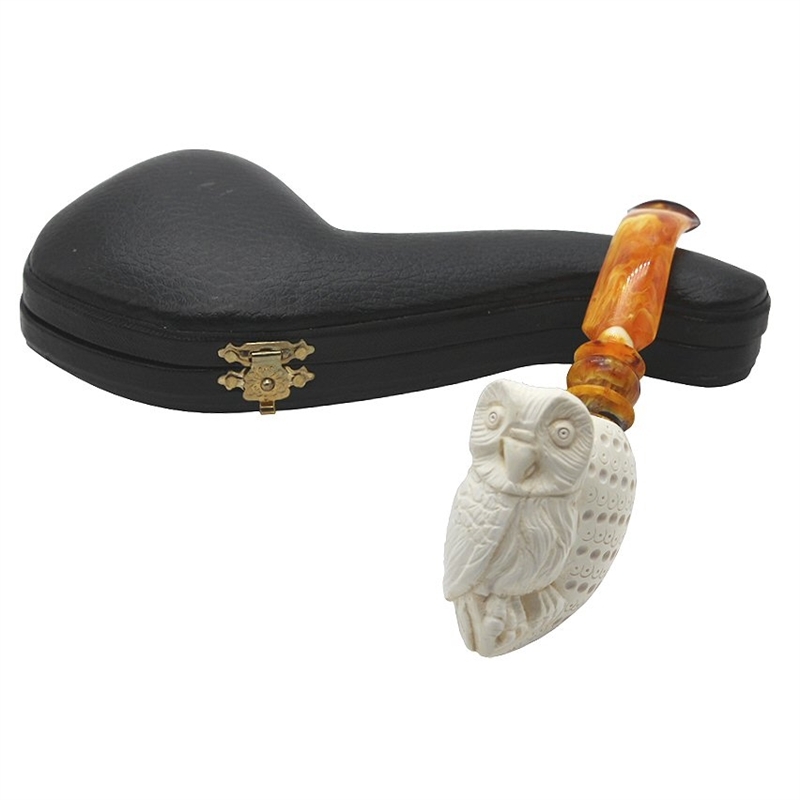 Unique gift for a collector or an every day pipe tobacco smoker.